While in NJ, our friends Steve and Mary gave us a copy of this book, remarking that it was similar to our approach to church planting in Spain. We have enjoyed reading it and sharing it with our friends in the USA. We are trying to give away as many copies as possible. Christian BookDistributors has actually given it away as a free ebook. It is also available on Amazon. The picture on the front cover represents your home and your closest 8 neighbors. Can you name the 8 neighbors that live around you? 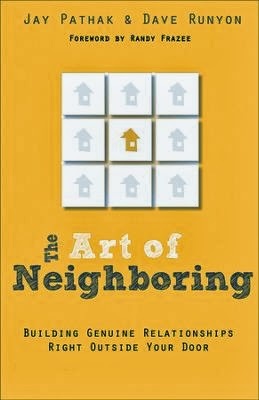 Great ideas on how to network in your neighborhood.